Strasbourg’s exclusive rights to having the main seat of the European Parliament are enshrined in European treaties. On 12 Mondays every year, 751 MEPs – flanked by their parliamentary assistants, political group advisors, hordes of ushers, drivers and civil servants, together with hundreds of files – move to Strasbourg. It is a grand déménagement which has far from unanimous support, as shown by Lamour’s documentary that will be broadcast on France 3 on Thursday night (27 September). Is it really necessary to continue this monthly migration? Both sides have their arguments. In terms of numerical superiority, the pro-Brussels side is the clear winner since 76% of MEPs support there being a single seat. The side advocating having the main seat in Strasbourg consists only of French MEPs. Some will shout that it is about defending the national interest, others will denounce it as being simple economic interest. In any case, the French are refusing to let it go. “Let me tell you that this debate is absurd, and it is for several reasons, firstly for legal reasons […] do we want to open the treaties? Do we want to question everything? Of course not,” Anne Sander, MEP from Alsace, said during the last debate on the topic on 5 July 2017. In fact, from a purely legal point of view, Strasbourg’s parliament has had exclusive rights to the monthly plenary sittings since a Franco-German agreement enshrined in the European treaties in 1992. For the rest of the time, the building remains deserted. 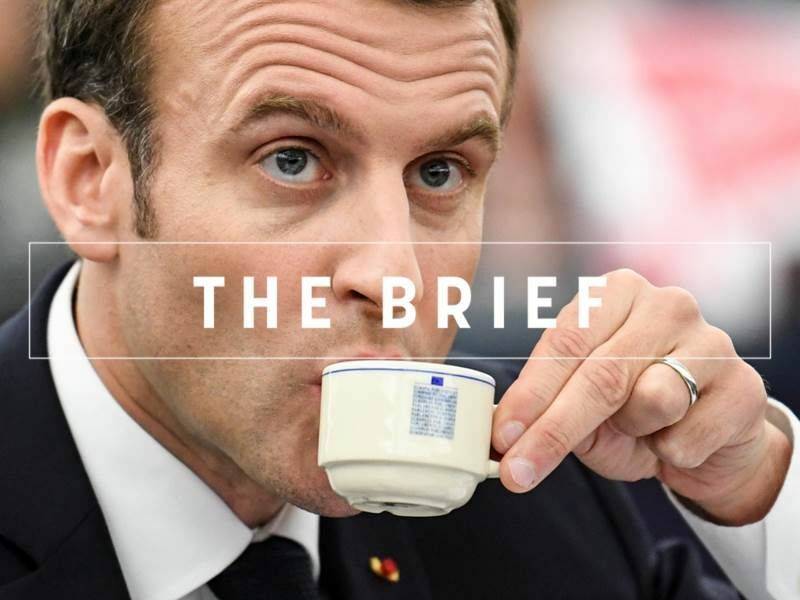 The French also cite the idea of having a European Union that is close to its regions, a distribution of seats and decentralisation to avoid falling into the Eurocracy trap and be confined to the Brussels bubble. The pro-Strasbourg side also criticises “an attack on the European project”, since Strasbourg is primarily a historical symbol. This argument was quickly rejected by Ashley Fox, a British MEP. “In 1957, Strasbourg symbolised the reconciliation between France and Germany. Today, 70 years later, it represents everything that is wrong with the EU. With one parliament in Brussels and one in Strasbourg, we are wasting €114 million of taxpayers’ money every year, or €3,600 a minute,” he pointed out. “This is a rational debate, which everyone thinks make sense and yet France takes an isolated position,” Lamour observed. Brexit could have been an argument to sway the French position, Last year, rumours suggested that an exchange was possible: if Strasbourg relinquished the main seat, the city could host one of the institutions given up by the United Kingdom after its divorce with the EU. These rumours were quickly swept away because Strasbourg will inherit neither the European Medicines Agency, which will move to Amsterdam, nor the European Banking Authority, which will relocate to Paris. Therefore, Strasbourg is not willing to let it go. 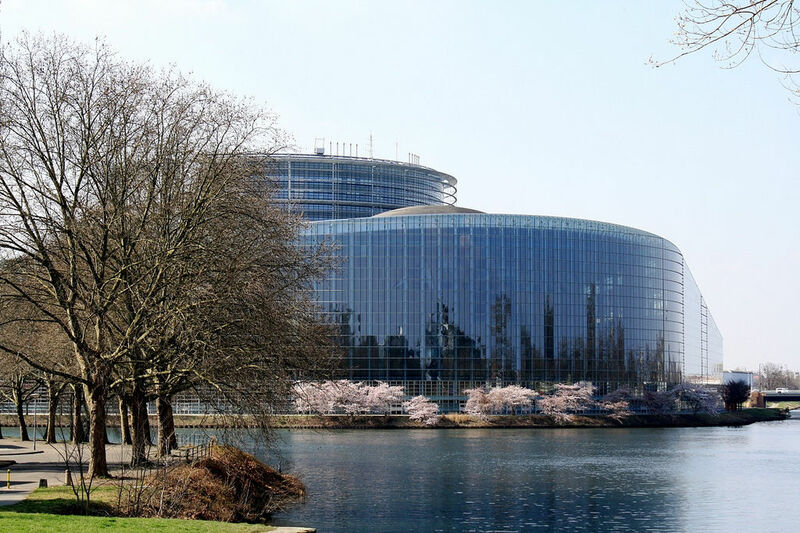 The website “Single Seat”, which calls for there to be a single seat, criticises the exorbitant cost of the grand déménagement: €180 million in total, which “every EU government has agreed to continue spending […] to keep the European Parliament meeting in two places”. Moreover, the anti-Strasbourg side reiterates the carbon footprint of this arrangement. Overall, the trips generate 19,000 tonnes of CO₂ a year. Every month, European officials travel by car or train for five hours, or even fly by plane for three hours, in order to go to Strasbourg. This is a strange situation, which Lamour illustrates in his documentary when he films two ushers who are tired of making all of these journeys. “From Charleroi, where I live, it’s out of the way,” the first says. “I eat sunflower seeds, you have to eat and drink to hang in there, it’s still a five-hour drive,” responds the second. “Monday is okay, but with the fatigue on Thursday…,” they conclude. The pro-Strasbourg side criticises supporters of a single seat of wasting time debating over their workplace, while there are more important files to be working on. The rule of having the main seat in Strasbourg can in fact only be modified by a unanimous vote by the heads of state and the member states’ governments. Therefore, so long as France does not change its position, the debate will never end. In addition to the stewardship and organisation required for such a move, the documentary particularly showcases, almost reflecting a boxing match, the preparation of two MEPs with opposite views on the manner before a debate in plenary. They are Anne Sander, the French MEP from Alsace, and Anna Maria Corazza Bildt, a Swedish MEP. Being surrounded by a small army of parliamentary assistants, they each fight for their belief. However, they both belong to the same political group, the EPP (European People’s Party). At the end of the debate, the film shows an assistant blurting out “all that fuss for what?” In other words, the debate is in vain. “The European Parliament’s directorate for communication put so many obstacles in my path, it proved so hostile to my project that it highlights that it wants to hide its inability to move the case forward,” he noted. 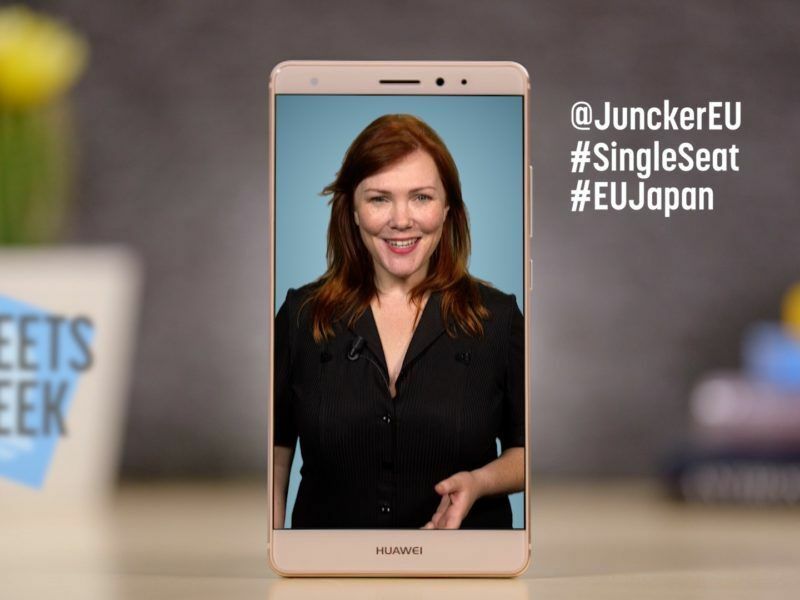 At the Parliament Juncker’s hysterical, the single seat debate is just terrible, and that Japan-EU trade deal looks bearable.